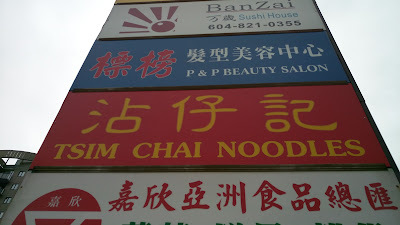 Right after the course, Buddha Boy and I needed real food, something comforting. Driving along Westminster Highway, we decided to stop by Tsim Chai Noodles 沾仔記 to satisfy our needs. 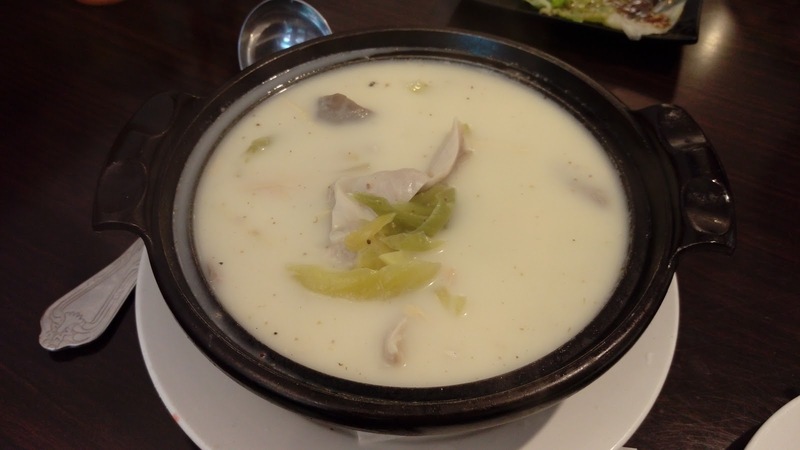 From the wall menu, I ordered the Pork Stomach & Sour Vegetable Soup 白胡椒豬肚酸菜煲, one of my favorites here. As always, the pork stomach was clean very well with no disgusting residues. The Chinese sauerkraut used was the proper type where it's sour, not sweet. Sufficient amount of peppercorn gave the whole package a nice peppery kick without being intrusive. 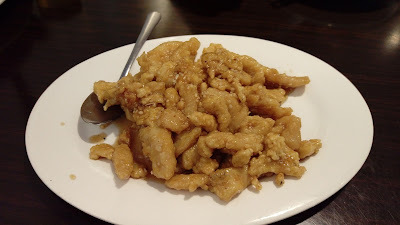 The Chicken w/Garlic & Honey 蒜子蜜汁雞球 was something Buddha Boy has been eyeing to try. The chicken was tender, but the honey coating was too sweet. The portion was a bit small for the price. Buddha Boy's Chinese Mushroom & Boneless Chicken Chow Mein 北菇雞球炒麵 had an unbalanced ratio between the meat and the greens. The overly wet topping mix softened most of the crispy noodles. Portion was acceptable. 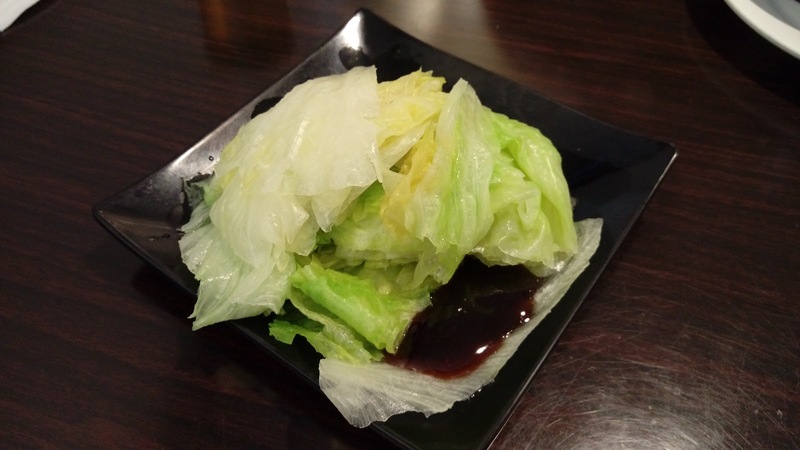 Next came an order of Lettuce with Oyster Sauce 蠔油生菜. 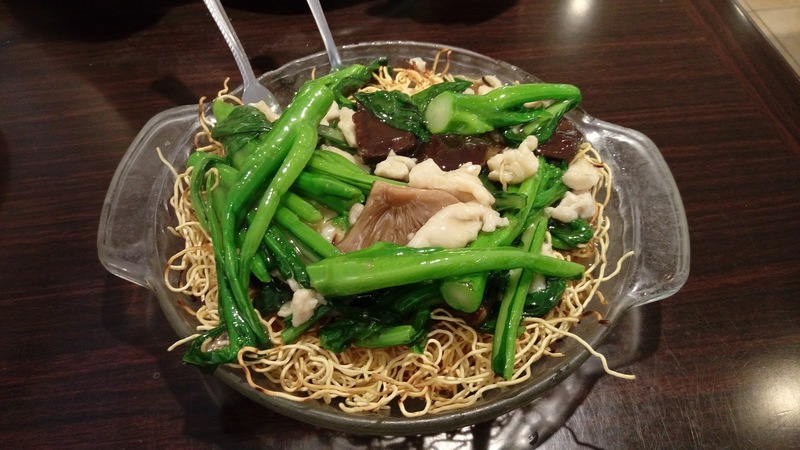 The vegetable was simply blanched and served with salty oyster sauce. Nothing special, just comforting. 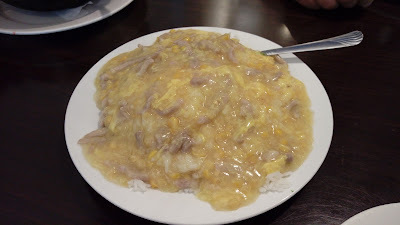 Since I'm not a fan of crispy noodles, I added an afternoon special of Diced Pork & Cream Corn on Rice 粟米肉粒飯. This not-so-creamy cream sauce had just the right amount of savoriness and consistency with adequate amount of corn and pork. 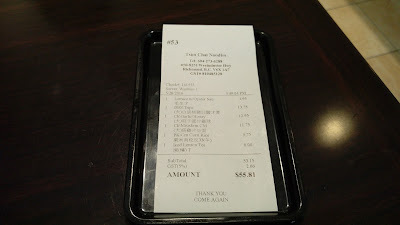 Portion was appropriate as an "afternoon-tea" but paying $9.75CAD for it was a bit steep. 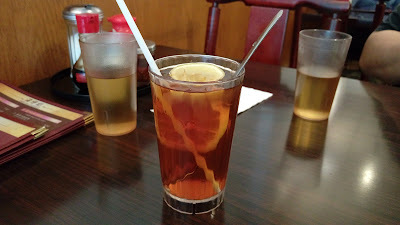 The afternoon special came with a drink and I ordered an unsweetened Cold Lemon Tea 凍檸茶. The drink was lukewarm and was quite diluted. 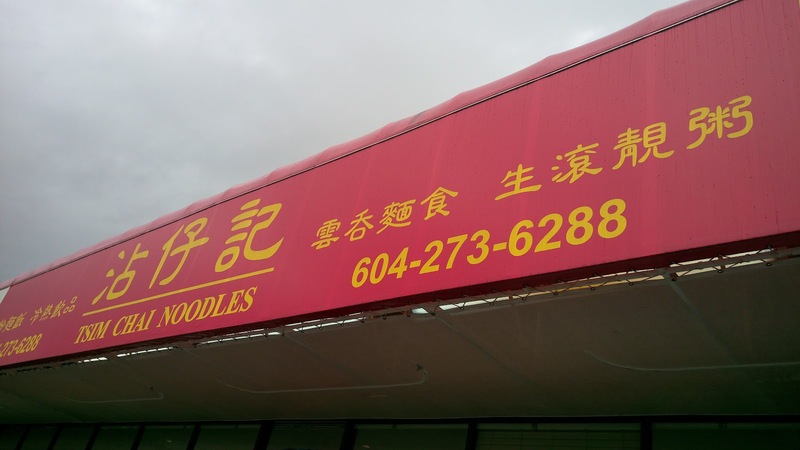 Honestly, this place was a bit costly for what we ordered. Service was prompt when requested but mostly oblivious. Nonetheless, while there were misses, we were satisfied and the food has met our needs.